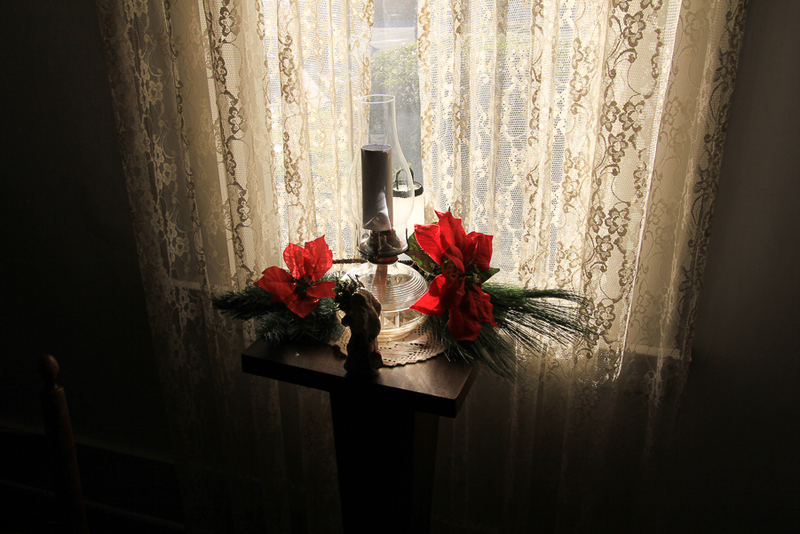 December 3, 2016 - Many of the historic homes in Southern California go all out in their holiday decorations but, until today, we've never attended one of these Christmas open houses. 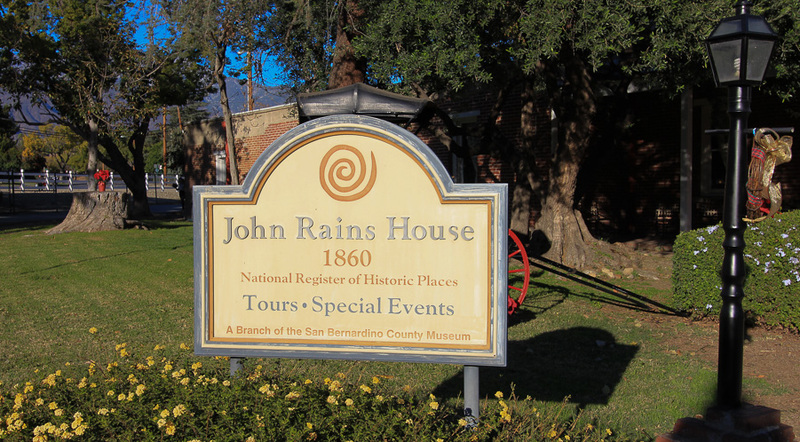 Our destination today was the John Rains House in nearby Rancho Cucamonga. 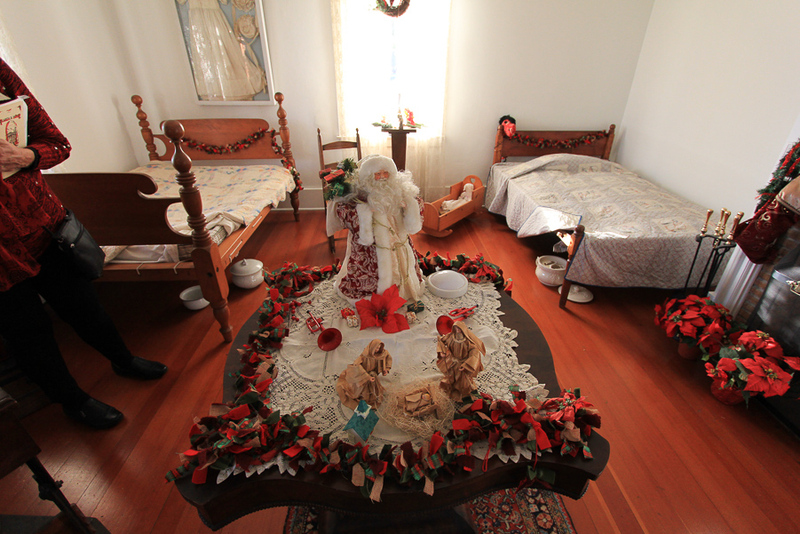 We came here for the first time in August 2015 and enjoyed our tour of this house which was built in 1860-1861. 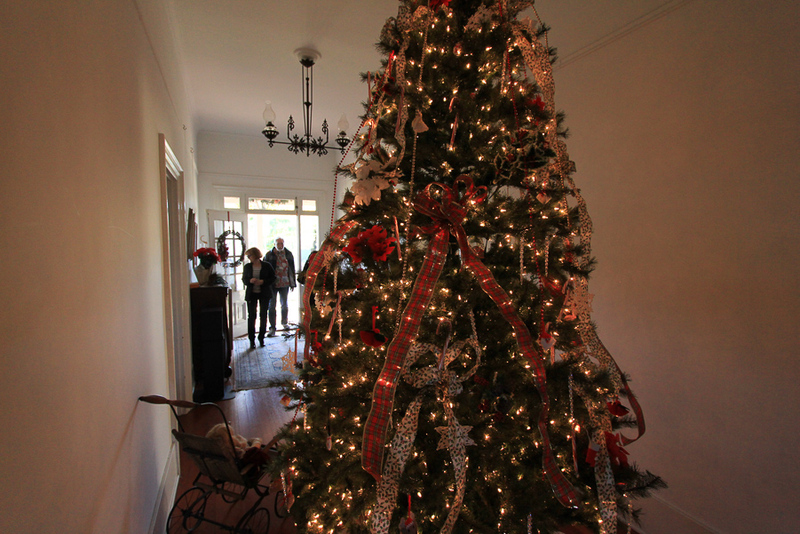 When we first arrived there was a huge crush of people entering the house, but after 15-20 minutes it thinned out enough that I could take some pictures. 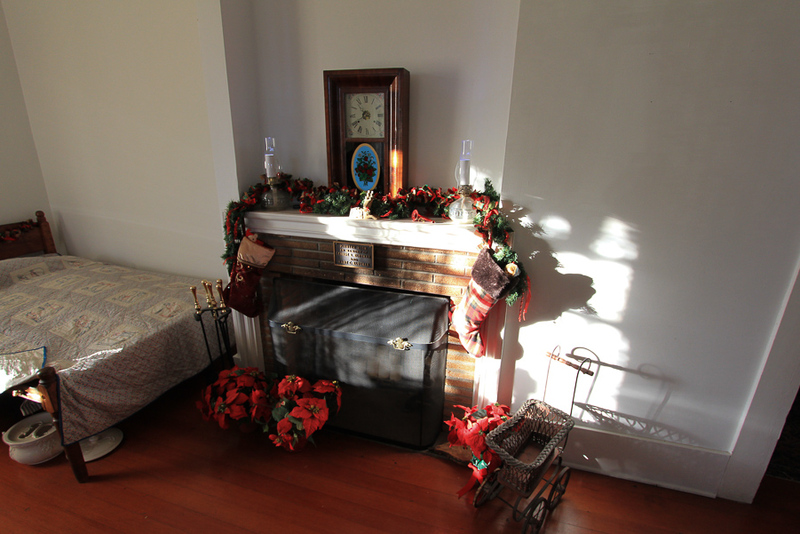 At first we were a little disappointed with the decorations because we incorrectly anticipated a more Victorian atmosphere. However, we realized that the Victorian influence probably didn't reach Western America by 1860 since it was more prevalent in the East and South. 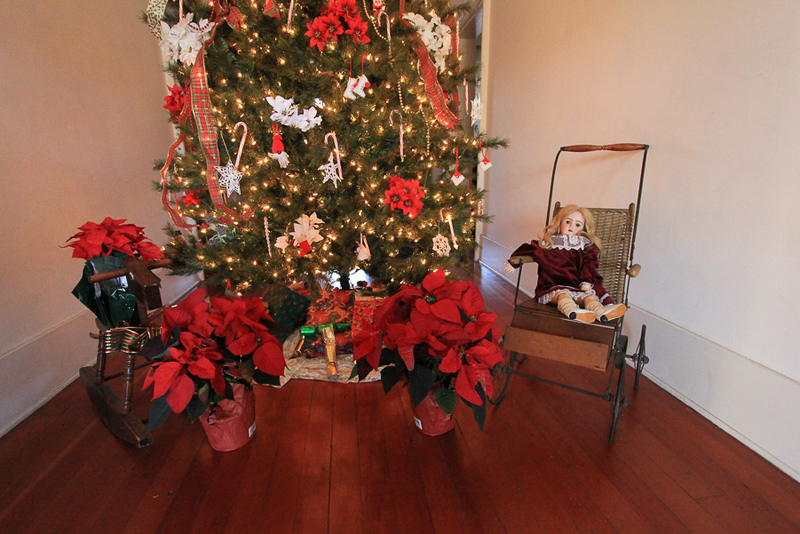 Therefore, most of the decorations and ornaments were simple and handmade, which properly reflected how the house would have looked before the first shots were fired in the American Civil War. 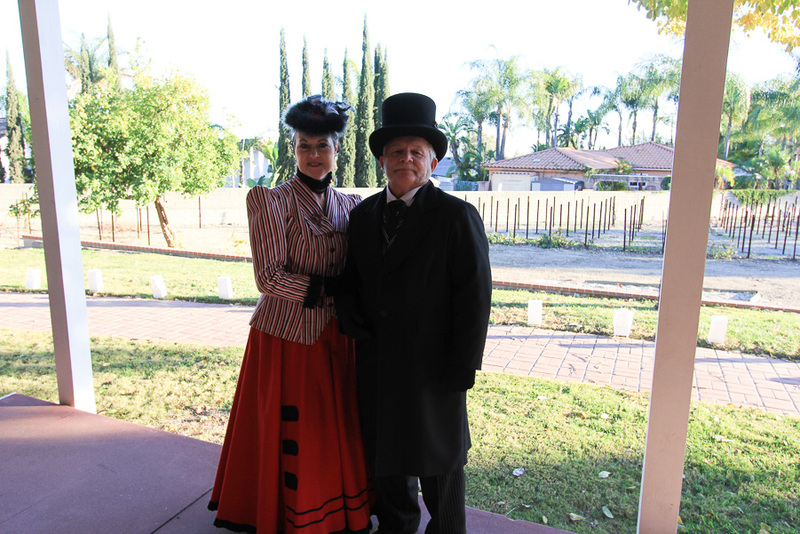 When John Rains built the house, the "Casa de Rancho Cucamonga" was the first and only permanent dwelling in the area. Thus it became a focal point for the community. 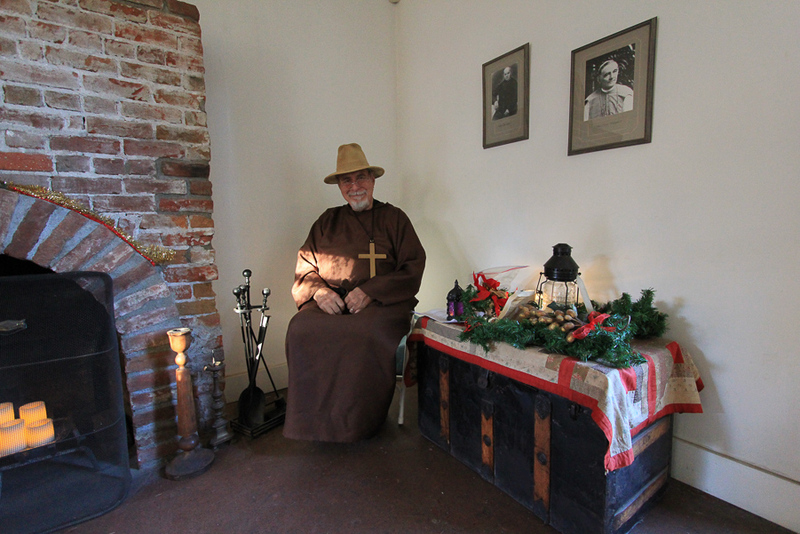 One room of the house was reserved for the padre, who would walk from Los Angeles to Casa de Rancho Cucamonga, roughly once a month, to perform marriages as well as conduct other religious services. 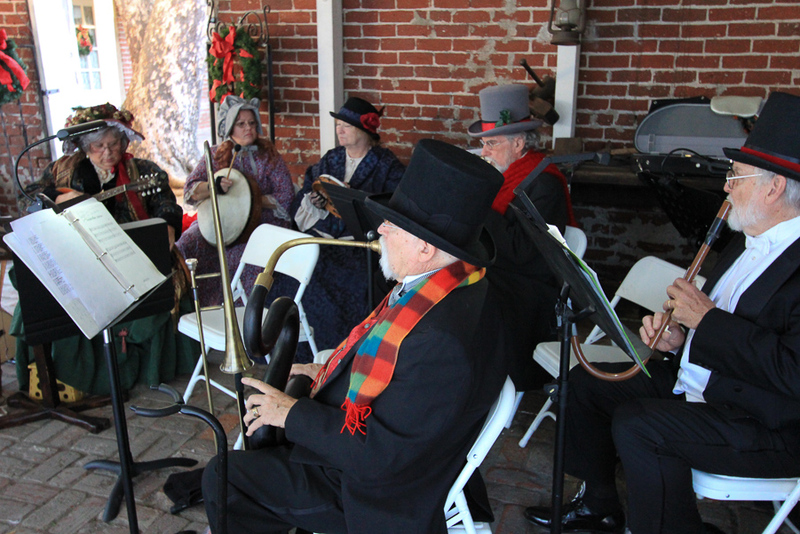 The Casa de Rancho Cucamonga Historical Society served gingerbread cookies and hot cider to all of today's guests. 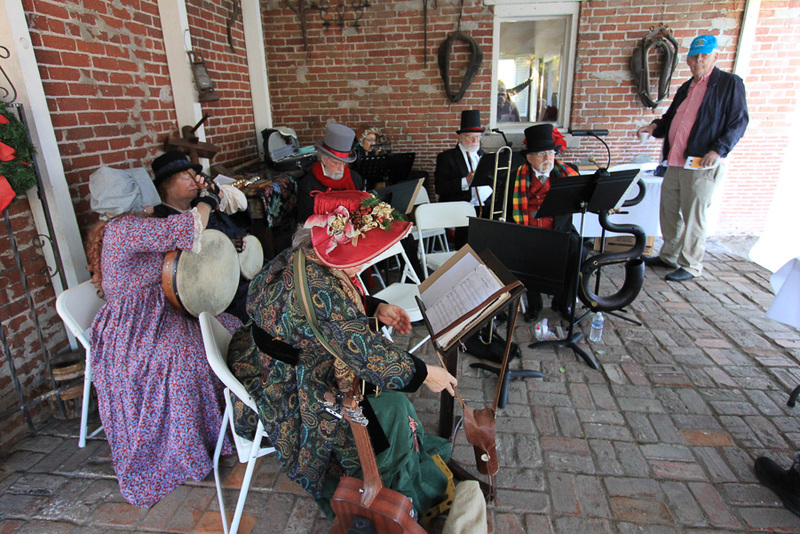 While enjoying our refreshments, we were serenaded by the "Ad Hoc Consort" playing period musical instruments, that were quite unique, especially the wind instruments. 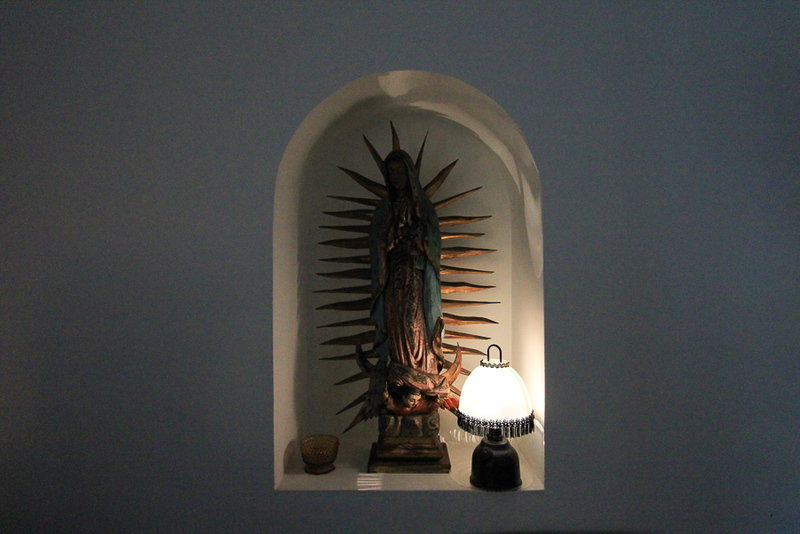 The Lady of Guadalupe icon was festively illuminated in its niche. 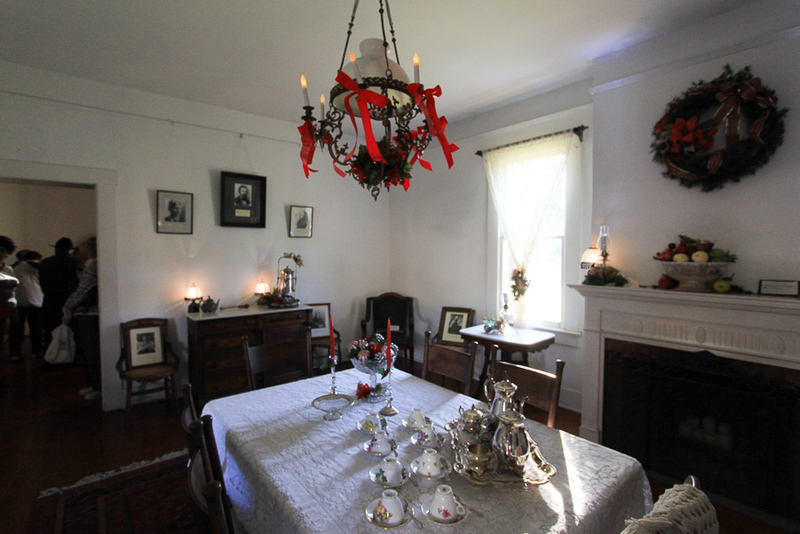 The Historical Society puts a lot of effort into making this annual open house a source of pride in the community and we appreciated their efforts. 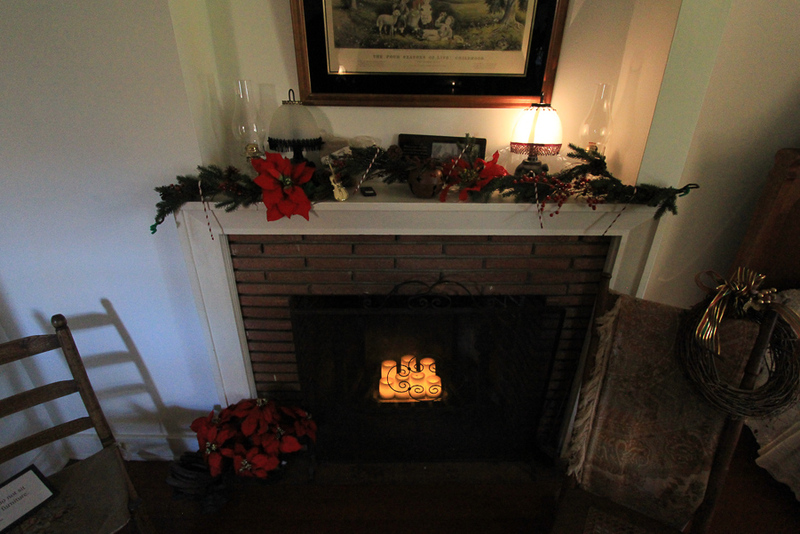 To see what the house looks like without the holiday decorations, click Pictures of our 2015 Tour.